Aditi and her five-year-old son Avinash were playing snake-and-ladder. At the end of the game, Aditi won. Suddenly, the cheerful face of little Avinash fell and he burst into tears. Aditi had no clue how to deal with this situation. She, who felt very upset, finally turned the game to Avinash’s advantage and made him happy again. You also might have faced similar situations in your house. All moms and dads want their kids to be happy all the time. But, is letting them always win a good practice? The answer is a big emphatic ‘No’. It is quite natural that children love to win always. However, it is necessary that they should learn to lose and to accept defeat also. Experts in child psychology say that failures are actually beneficial for kids because they teach them how to deal with setbacks in life. They ameliorate kids’ abilities such as coping skills, emotional resilience, creative thinking and so on. 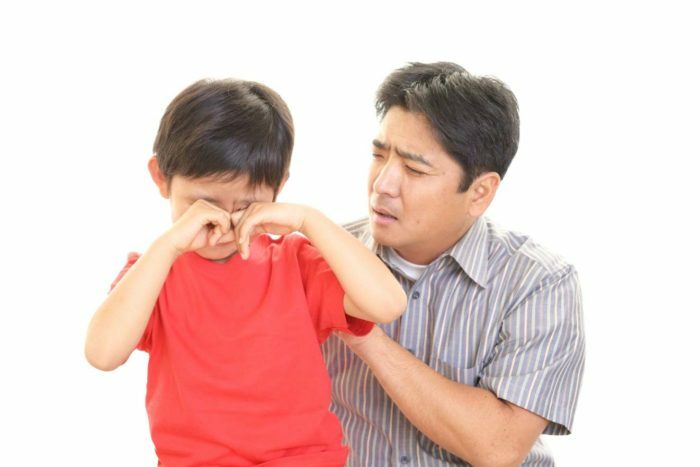 According to Madeline Levine, Ph.D., the author of The Prince of Privilege: How Parental Pressure and Material Advantage are Creating a Generation of Disconnected and Unhappy Kids, “Parents see failure as a source of pain for their child instead of an opportunity for her to say, ‘I can deal with this. I’m strong’”. It is a proven fact that competitive games can instill self-confidence and self-esteem in little ones. But they should learn to win the game with honour also. By training the kids to cope with failure through simple games, you can equip them to effectively deal with setbacks in their later life. If parents always let them win the game they may think that everything in life will be to their benefit. If such a conviction takes root in their mind, they may not be able to deal with the inevitable failures that they will surely face later in their life. Many children consider winning a game as a matter of pride. This belief leads them to get upset at failures. Once we can change this disposition of kids, then we can easily psyche them up to face failure. Remember, you cannot achieve this goal overnight. Be patient and persistent. The first thing that you need to bear in mind is that you should not manipulate the game to your kid’s favour, however much fuss they make about their failure. Instead tell them gently that the game is played for sheer fun and there is nothing beyond that. Whenever your kid wins the game, you should make it a point to congratulate her on her winning, and should teach her that she should also do the same when you win the game. This will give your kid the first lesson as to how to respond to failure. As you practice this over and over again, the kid will naturally develop the idea that he should appreciate the winner. Sometimes, the kids may have the wrong impression that failure is the result of their inability. So, tell them before you begin any game that what is important is participating in the game and not winning it. You can cement this idea in the kid’s mind by appreciating his moves occasionally during the game. Comments such as ‘that is a great move’ or ‘you are playing well’ will definitely boost up her confidence to play further, even if they fail. If there are siblings, it is possible that the winner may taunt the loser, and will eventually lead to sibling rivalry. So you should tell the kids beforehand that the game is meant for sheer fun and they need to appreciate each other. At times you can tell them the stories of personalities who did not give up on what they were doing, despite their repeated failures. For instance, you can tell them the story of ‘Burce and the Spider’ or the story of Little Engine that Could. This will boost up their confidence and help them shake off their fear for failures. If you can find some motivating experiences from your own life that will also work perfectly fine because parents are often the role models of kids. Sometimes, the kids may not take part in any competition because of their fear of failure. Parents should not encourage this tendency either. This will always give them a comfort zone which will make them reluctant to take the challenge and respond depressingly to failure. Whatever the outcome, children should take part in competitions. Hence, parents may need to convince their children that failure is inevitable in life, at least on some occasions, and they can get success after some incidents of failures. Parents may also need to ensure their children that repeated attempts will eventually equip them with the capability to attain unqualified success. What if all these precautions fail and your child repeatedly gets upset when he or she loses in a game? Then it is better, to begin with, a game in which the chance to win depends completely on luck. A board game would be the right choice in such a situation. Such a game has the element of excitement to keep up the child’s interest. And the elements of surprise and excitement can overshadow the child’s concern at winning or losing the game. It also gives every player an equal chance, whatever his or her age is. Playing board games together can also strengthen the bond between the players, be it the mother, father or any other family member and the child. Later on, children can be introduced to games of skill like scrabble. Build up confidence in the child by making the games easy at first. Gradually, without the child being aware of it, you can bring your own intelligence into the game, making it tougher for the child, and eventually enhancing her skill.